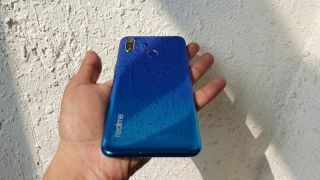 Realme Mobiles will unveil its mid-range phone, the Realme 3 Pro in India on April 22 and has started teasing the upcoming product in a series of tweets. The company's CEO, Madhav Sheth was also a part of a YouTube video where he provided some hints about the Realme 3 Pro. The Realme 3 Pro will take the fight straight to Xiaomi's Redmi Note 7 Pro when it launches in India next week. Sheth also hinted that Realme 3 Pro will come with a fast charger in the box unlike its competitor, the Redmi Note 7 Pro which supports Quick Charge 4 but does not come with a supported adapter. We know that the phone will come with a VOOC fast charger which makes the Realme 3 Pro the first phone of its kind to support OPPO's fast charging technology. Just last week, Realme Mobiles CEO, Madhav Sheth posted a picture on Twitter revealing that the Realme 3 Pro will support Fortnite at the time of its launch. Lying adjacent on the table is the Redmi Note 7 Pro which doesn't support Fortnite yet. The apparent jab by Sheth is an indication that the Realme 3 Pro could be powered by either Qualcomm's Snapdragon 710 or Snapdragon 670 as both these chipsets were launched in late 2018, are backed by Adreno 616 GPU and support Fortnite. On the other hand, the Realme 3 Pro visited Geekbench recently and its listing revealed that it features a 6.3-inch Full HD+ display, is powered by Snapdragon 710 with 6GB of RAM and runs on Android 9.0 Pie under the company's ColorOS 6.0.